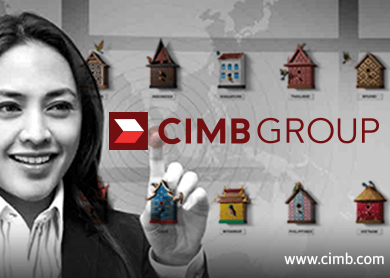 KUALA LUMPUR(Mar 27): CIMB Group Holdings Bhd, in partnership with Philippines bank First Metro Investment Corp (FMIC), plans to issue the first sukuk or Islamic bonds in the Philippines, according to a Reuters report. According to the report, CIMB(fundamental:1.05; valuation:1.5) and FMIC are targeting to propose the first sukuk issue to the Philippines government within the year to help the country diversify its debt profile. FMIC president Roberto Juanchito Dispo was quoted by Reuters as saying that the deal would be structured in a way that there would be underlying assets, and that proceeds from the sukuk issuance could be used to finance the needs of poverty-stricken areas in Mindanao, Philippines. The report also quoted Philippines national treasurer Roberto Tan as saying that doing a sukuk issue was “difficult” because of the legal considerations, but there may be “avenues for it to push through”. Sukuk are financial instruments that comply with Islamic investment principles which prohibit interest payments. Ratings agencies Standard & Poor and Moody's raised the Philippines credit rating two notches above investment grade last year, citing among other factors the government's improving public finances as it has been relying less on foreign debt, said Reuters. CIMB shares were trading 2 sen, or 0.33% lower at RM6.12 at 11.36 am today for a market capitalisation of RM51.8billion.